This week’s pictures hint at two or more stories: at that of the life of Jesus, from whose life and teaching spring one of the world’s great religions. 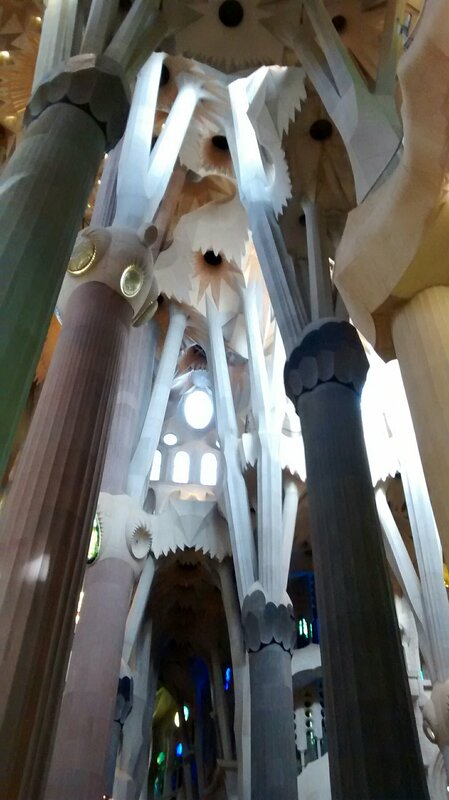 And at the building of La Sagrada Familia, Antoni Gaudí’s cathedral celebrating Jesus’ family, created by thousands of craftspeople with special stories to tell, gathered over the last 136 years …. maybe only another eight or so to go. ‘Story’ is this week’s WordPress photo challenge. Click on any image to view full size. 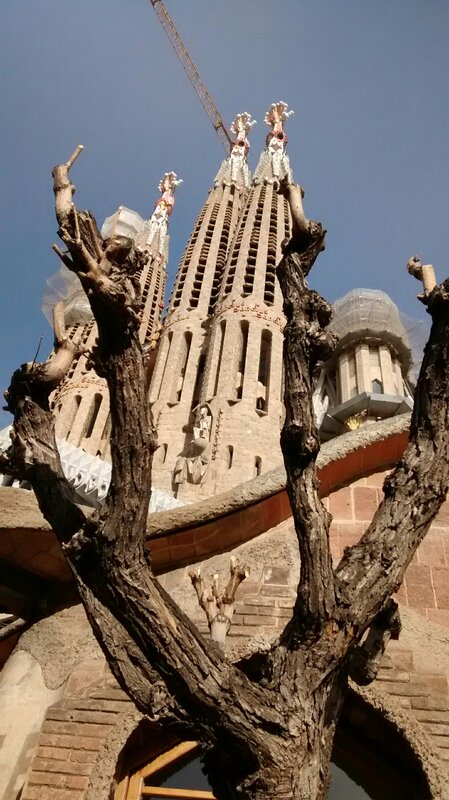 The last time we went to la Sagrada Familia was maybe twenty years ago. My abiding memory is of seeing a monstrous fork lift truck parked in one of the aisles, totally dwarfed by the Cathedral in which it incongruously found itself. Today was different. 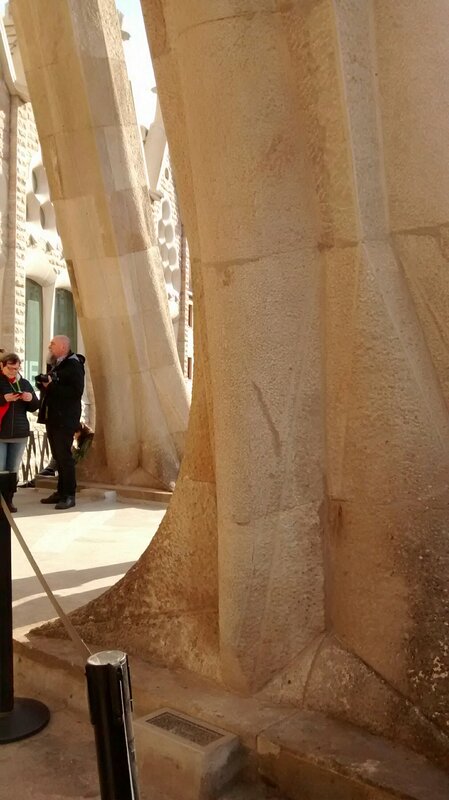 The Cathedral which Gaudí began in March 1882 is due to be completed exactly 100 years after his death, in June 2026: so the fork lift trucks are long gone. What is there new to say about this inspiring, spiritually uplifting and imaginative building? Even the selfie stick dependent visitors thronging through can’t destroy its power. Imagine, as Gaudī wanted you to do, walking through an ancient forest, the sunlight filtering through the topmost branches, dappling the trunks and forest floor with dancing daylight. Imagine the changing colours of that forest as the chilly morning sun rises in the east, then finally sets, warm and vibrant, in the west. 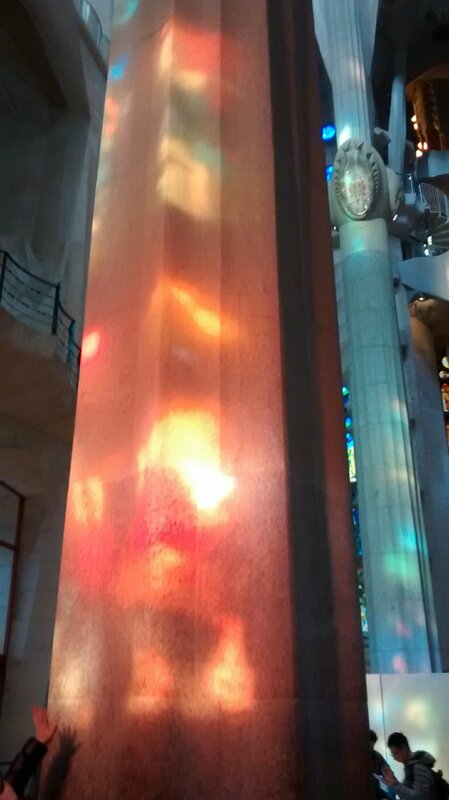 La Sagrada Familia captures all that. It celebrates nature in stone, glass, ironwork and mosaic tile. Here are just a few shots to try to capture that mood.